BPsych; BSci Hon (Psych), MPsych (Clin). Amanda is a Clinical Psychologist who predominantly works with women and their families experiencing depression, anxiety, or adjustment difficulties during pregnancy and the postnatal period. Amanda also assists mothers or fathers experiencing parenting difficulties, including sleep difficulties, bonding or attachment issues. She has a particular interest in rage and other strong emotions that can come along with parenting. Amanda is a firm believer that if she isn’t baby-friendly, then she isn’t mother-friendly, so you are always more than welcome to bring your baby to sessions with you. At the heart of all the work that Amanda does is a keen focus on the therapeutic relationship. She will work alongside you to collaboratively develop a treatment plan and therapeutic approach that is right for your circumstances. 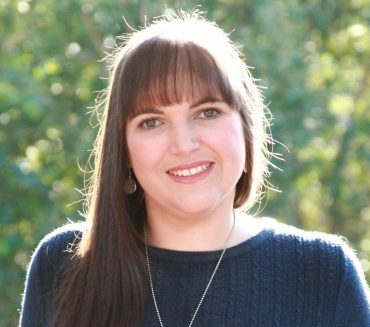 Amanda’s therapeutic approach is adapted to suit the needs of each individual and unique family she sees, drawing on the latest science from Compassion Focused Therapy, Acceptance and Commitment Therapy (ACT), Schema Therapy and a range of attachment-based approaches. She is an endorsed Clinical Psychologist registered with the Psychology Board of Australia. Amanda completed her undergraduate degree in Psychology at the Australian National University (ANU) in Canberra, before returning to Queensland to complete her Psychology Honours and a Master of Clinical Psychology at the University of Queensland (UQ). 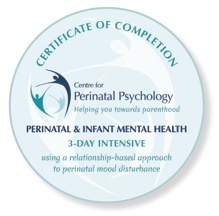 She has also completed additional training in birth trauma, breastfeeding, feeding disorders (accredited SOS feeding trained therapist), and managing unsettled and distressed babies (including Possums certification 1 and 2: evidence-based care of mothers and babies 0-6 months). Amanda liaises closely with GPs, Psychiatrists and Maternal Child Health Nurses to ensure the best possible care for clients. The mother of three young boys, in her spare (and often not spare) time, Amanda enjoys volunteering as a qualified breastfeeding counsellor assisting individuals with infant feeding concerns and running mother-to-mother support groups. For professionals: Amanda is also passionate about improving the knowledge and skills of health professionals in the arena of perinatal mental health. She provides individual supervision as well as training workshops in a variety of settings. *Medicare rebates are available to those who have a referral and Mental Health Care Plan from their GP, psychiatrist or paediatrician. This must be in place prior to the first claimable session. Amanda also sees clients under perinatal funding available through the Brisbane Metro South PHN Psychological Therapies program. If eligible for this program (speak with your GP), clients seen under these referrals have no out-of-pocket costs.